Jim Ellis Volkswagen of Kennesaw | 2019 VOLKSWAGEN TIGUAN NAMED CARS.COM "BEST COMPACT SUV OF 2019"
HERNDON, VA (March 27, 2019) — Volkswagen of America, Inc. is pleased to announce that Cars.com has named the 2019 Volkswagen Tiguan the “Best Compact SUV of 2019” for the second time in a row. The Tiguan competed against six strong contenders for the top rank in the Cars.com Compact SUV Challenge, and won over judges with its comprehensive package of exceptional driving dynamics, comfortable and quiet interior, and sophisticated multimedia system. 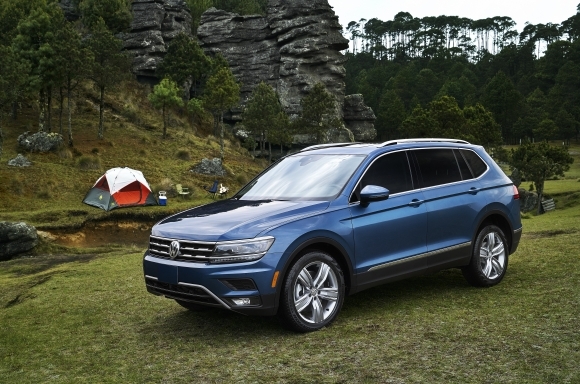 Starting at $24,295 MSRP for the S FWD, the 2019 Tiguan is available in seven trim levels: S, SE, SEL, SEL R-Line, SEL R-Line Black, SEL Premium, and SEL Premium R-Line. Every Tiguan comes with the People First Warranty, America’s Best Bumper-to-Bumper Limited Warranty. The warranty provides coverage for six-years or 72,000-miles (whichever occurs first), and can be transferred to a subsequent owner throughout the remainder of its duration. For more information, including scoring details, photos and videos from the Cars.com Compact SUV Challenge, visit www.cars.com/news. This press release and images of the 2019 Tiguan are available at media.vw.com. 6 years/72,000 miles (whichever occurs first) New Vehicle Limited Warranty on MY2018 and newer VW vehicles, excluding e-Golf. Claim based on manufacturers’ published data on length and transferability of car and SUV Bumper-to-bumper/Basic warranty only. Not based on other separate warranties. Remainder of warranty coverage transfers to subsequent vehicle owner. See owner’s literature or dealer for warranty exclusions and limitations.